Nasty juice Nic Salts are a great tasting twist on the regular Nasty Juice e-liquids available in the UK. Nicotine Salts (NicSalts) is an abreviated term for the natural state of nicotine found in tobacco leaves. In an e-liquid, NicSalts are shown to yield faster absorption of nicotine into the bloodstream than a similar solution containing distilled nicotine. NicSalts e-liquids can provide a higher ratio of nicotine content, but with a less harsh “throat hit” and easier passage of nicotine across the blood-brain barrier than vapor using distilled nicotine. This is because the “salts” alter the Ph. balance of the liquid, making it more akin to human physiology. 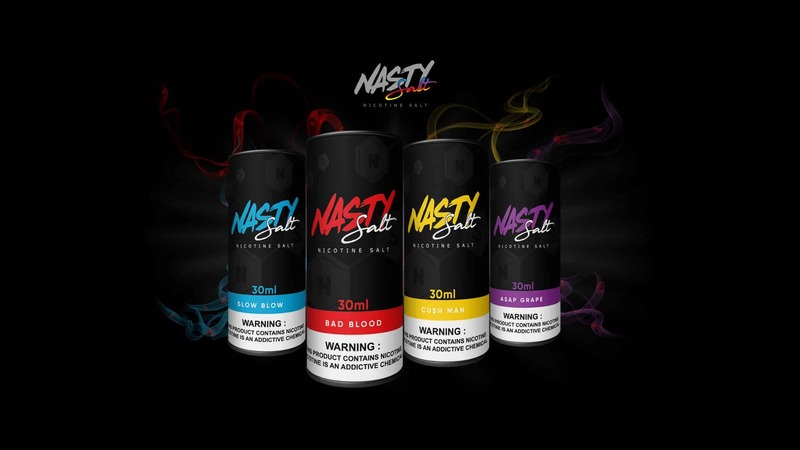 Nasty Juice is one of Malayasia’s top e-liquid brands, formulated to give you a rich yet smooth vaping experience. Nasty Juice is TPD Compliant.